Taking care of your feet should be one of your main concerns when it comes to your beauty routine but also for your overall health. Unfortunately, many people neglect this aspect and they only pay attention to their feet when there are clear signs of an unhealthy skin that need to be addressed, or even worse, when a certain level of pain is involved. In order to have soft feet and healthy skin, there are several things that you can do right in the comfort of your house and with minimum investment. So, let’s see how you can have soft feet and forget about those dry patches of skin that can be uncomfortable and annoying! 2. Use olive oil to offer your skin the nutrition it needs. 3. Honey can do miracles for the skin on your feet and ankles! The skin of your feet and ankles can often get dry and flaky, which is not only not aesthetic but it can also create skin irritations that need to be treated more seriously over time. If you notice that your skin gets dry, there are certain things you can do to improve the way your feet look and feel, right in the comfort of your house! This is extremely simple and chances are you have all you need for it at home right now. If not, you can make a minimum investment in some baking soda which is easy to find. All you have to do is mix two tablespoons of baking soda with 2 liters of warm water and soak your feet in this solution. Keep your feet in the warm water until the water gets cold which should take anywhere between 10 to 15 minutes. For positive results, you should consider repeating this process every other day. This doesn’t just treat dry skin but it also helps to prevent it. This step is very easy and you can do it as many times as you want during the day. All you have to do is simply pat your feet with cotton that has olive oil on it. This will help moisturize your skin and it will heal the cracked areas even after doing it for the first time. It is important to make sure that your feet are clean before patting them with olive oil. As a matter of fact, for best results, you can use the olive oil trick right after you soak your feet in warm water with baking soda. You can’t fail by doing so and your feet will remain soft for a long time! If you like honey, you should know that it is a great treatment for dry feet as well. Honey can nourish your skin in a profound way and offer you the softness that you want for a longer time. And it is very easy to use as long as you have access to raw honey because the one that is extremely processed might not have the same result. The rule says that you should add a cup of honey to a bucket of warm water. Make sure the water is warm but not hot because you want to soak your feet in it right away. If you do this trick on a daily basis for around 15 minutes, you can forget all about dry skin or cracked skin! If you want to get some serious moisturizing, you can add milk instead of water. Milk is well known for its beneficial properties, especially when it comes to our skin. Soaking your feet in honey and milk is a clear solution to get soft feet and keep them that way for a long time! This will work even better if you do it before bedtime and sleep with socks on in order to keep the moisture inside. Dry feet and even worse, cracked heels, don’t happen out of the blue with no particular reason. Usually, this is a side effect of some other causes that might influence or even generate the skin condition that you have on your feet and ankles. So, in order to understand how to maintain soft feet, you should know how to avoid them in the first place! Here are a few causes that could contribute or could even be to blame for your dry feet and how you can avoid them. Maybe the main problem that causes dry feet and cracked heels are the lack of moisture. The skin on your feet doesn’t have as many sweat glands as the skin on other areas of your body which is why it is important to moisturize it a little more than the rest. Use strong moisturizers but go for those that contain no chemicals while they are rich in essential oils. You can also use oils directly to moisturize your skin and olive oil is champion at this! More often than not, the skin problems we develop are a consequence of our overall health condition. This is why you should always be aware of the level of vitamins that you might be lacking, if any and try your best to supply them from healthy sources. If you have a zinc deficiency, in particular, this will show in the quality of your skin, especially when it comes to your feet. A healthy and balanced diet along with a good sleep routine and exercise can help you prevent dry skin as well as other similar conditions which is why it is crucial to not ignore your health at all! Sometimes, our job might be to blame for the way our feet look like. If you spend a lot of time during a day standing on your feet, this will have an effect on them sooner or later. Especially if you don’t take care of your feet properly. So many hours standing can put a lot of stress on the skin of your heels and if you have a job that requires you to do that, make sure you moisturize your feet more than usual. Your weight can definitely damage the way your skin looks like and not just when it comes to your feet. However, your heels will be the most affected if you are obese because your weight will add pressure to your feet and make your skin to crack, especially if you don’t have a flexible skin. But this can be avoided by watching your weight and maintaining a healthy lifestyle and you can start changing some bad habits any time so if you feel like you should lose some weight don’t postpone it anymore! Your hygiene is very important and you shouldn’t neglect the skin of your feet when you are taking care of yourself. As a matter of fact, your feet require daily attention if you want to enjoy soft skin for a longer time. If you are not cleaning your feet regularly, you will face more problems than just dry and rough skin. Make sure you carefully exfoliate the dead skin cells from your feet and apply the right type of moisturizer on a daily basis and your feet will stay soft and pretty at all times! Your shoes are crucial for the quality of your feet but also for your health. The wrong shoes can cause all kinds of problems and damage the way you walk as well as creating a lot of skin conditions that you will have to treat! And besides the fact that you should wear shoes that allow your feet to breathe and not sweat too much, you should also wear shoes that are a good fit for your feet. If your shoes are the wrong size, you will notice not only dry skin starting to appear on your feet but also cracked heels and even wounds that can create further unpleasant health problems! However, there are cases in which none of these causes is to blame for dry feet or other skin conditions. Genetics can play a significant role in this problem a well. There is such thing as naturally dry skin or thick skin that will get damaged and crack a lot easier than other skin types. If you suspect that you have such a condition, you should make sure to take extra care of your feet and moisturize them even more! If your skin is dry due to genetic, you can keep it under control and avoid many complications by having the proper hygiene and lifestyle! No matter how much care you take when it comes to the skin of your feet and how many efforts you make to keep it as soft as you want it to be, sometimes it is obvious that the problem needs the advice of a specialist. Here is how to know when it is time to go to a doctor in order to get those soft feet that you always wanted and keep them like that! If you don’t have dry or cracked skin only on your feet. If you notice this dry skin condition spreading in other areas of your body, you might be dealing with a chronic condition that will only get worse over time. In such a case it is essential to get the treatment that a doctor recommends before the situation gets out of hands. 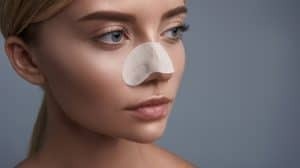 Sometimes, dry skin can affect your face and in such a case, you should definitely speak to a dermatologist before you start experimenting with a lot of treatments on your own. If none of your home remedies gave results. You can try all the solution presented here in order to treat your dry feet and make them soft again. If your condition doesn’t have a health problem underneath it, you should be able to solve it quite fast by simply applying the tricks you learned in this article. However, if you notice that nothing seems to work, it might be time to have a specialist take a look and follow the advice that they give you! When your feet show other worrisome signs such as wounds or skin irritations. If dry skin is not the only condition that affects your feet, you should consider having a doctor look at them. Sometimes, allergies and more complex health problems appear not only as dry skin patches but also several skin problems including red irritations and even pimples or wounds. 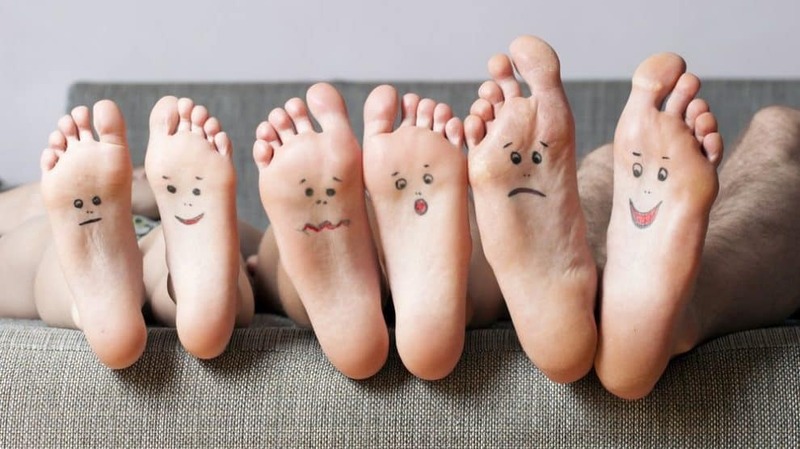 You notice such reactions on your feet you shouldn’t delay your visit to the doctor because the sooner you go, the easier you might fix your problem. Healthy and well-moisturized feet should feel soft and look good at all times so there is no need to compromise when it comes to the quality of your skin. Most of the times, it is a lot better to prevent a condition from appearing than to treat it. Luckily, when it comes to dry feet, you can do many things to prevent this skin condition and enjoy soft feet at any age! There are some simple rules that you should apply and respect on a constant basis, in order to get the skin on your feet to stay soft even if you struggle with a genetic dry skin condition. Before you rush to the doctor or even before you try sophisticated treatments, do your best to prevent your feet from losing their softness and pamper them as often as possible in order to enjoy the skin that you always love to have! You will be avoiding a lot of problems down the road. And the most important thing that you can do is moisturize your feet on a daily basis. Look for those products that offer moisturizing properties for up to 24 hours and are made to accommodate the needs of your feet. Each one of us has different skin type so it is important to know your skin type before investing in such a product. If you want to use oils, you can definitely do that. Avocado oil, olive oil as well as sesame oil are great choices for your feet and they can help you prevent that dry skin as long as you use them daily. It is also important to exfoliate at least once a week. Just like the skin on your face and any other part of your body, the skin on your feet needs to be exfoliated regularly. But don’t do this daily because you can damage it and even create wounds. If you have a routine to exfoliate your skin once a week it is more than enough. Do that in the shower and apply a healthy moisturizer at the end of the process. You will fall in love with your feet all over again once you see how soft they are and you will never have to face the problem of dry skin! Always pay attention to your diet and overall lifestyle if you want to prevent your feet from losing their softness. Everything from your weight to your sleep and the food you eat, can and will contribute to the quality of your skin and the skin on your feet makes no exception. As long as you have a balanced lifestyle and you take good care of yourself, you can prevent dry skin as well as cracked skin anywhere on your body. Not to mention that you will prevent all the other skin conditions and many health problems as well! It is very important to recognize the first signs of dry skin on your feet and start treating it right away. The more you ignore such a problem, the harder it gets to treat it. Plus, it might give you other health conditions, because cracked skin can easily break and create wounds if it is left untreated for a long time. By applying the tips and tricks in this guide, you can be sure that your feet will look amazing and feel as soft as you want them to feel for a long time! And if you don’t get the results that you want, it can only mean that you need to consult a doctor to see what is actually the cause of your dry feet! Enjoy a soft skin on your feet by simply having the proper hygiene and lifestyle and your feet will thank you for it! You will feel better and also walk better so your efforts are definitely worth it!